Gimps Gold: Routines, To-do lists and combining jobs. Whether you have all day or a few hours to make gold, a basic routine can increase efficiency. This allows for more time to play the game away from just gold making (not that doing all gold making isn't fun sometimes :P). So how can I create a virtual, memorable to-do list and combine jobs within it? 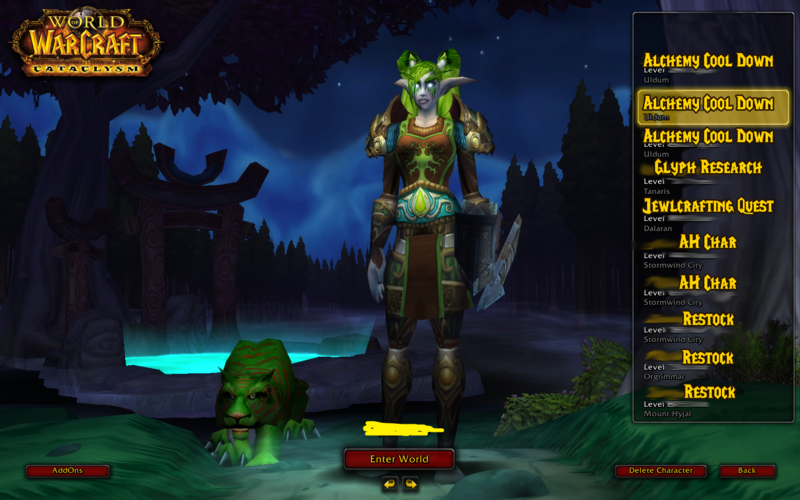 So everyday I log onto WOW I will have around 5-6 daily cool downs or quests that need to be done, mail to collect, as well as auctions to cancel and repost. Now considering how many characters I have and how many different cool downs they have this can sometimes be a bit confusing and time-consuming, due to jumping back and forward from chars. When this was first announced I was excited to re-order my chars in Level order to satisfy my need for order. But when 4.2 Hit I realised that I tended to log into characters repeatedly due to checking daily cool downs and quests before then logging onto my auction characters. So I found myself naturally moving characters in the log in screen into the order I used their cool downs. This eventually created a virtual to-do list for me to follow. So why do I suggest this to players as a gold tip? Simple, time is money! The more time you spend jumping characters and playing about the less time you have to make gold, plus if you forget a cooldown you are losing potential gold! So by getting into a routine you are maximizing your efficiency and minimising your chance to miss out on a simple profit made from transmutes and the like. By expanding this daily routine to a weekly one you can also incorporate other activities you do to earn gold such as Raid running and Farming. So sit down and think to yourself are there things I do on a daily/weekly/monthly basis to earn gold and can I combine them to maximise efficiency and save time using a routine. Good Examples of combined activities I have incorporated into my weekly routine are vendor bought item sales. I often sell patterns brought from Outland Vendors, and I also found myself regularly running Hellfire Ramparts to gather Neatherweave cloth and some greens for disenchanting (I will have a great video for a 4 min clear coming up for this). I found I tended to do this once a week to stock up on cloth and patterns so I combined this into a single job and put it on my weekly to do list. 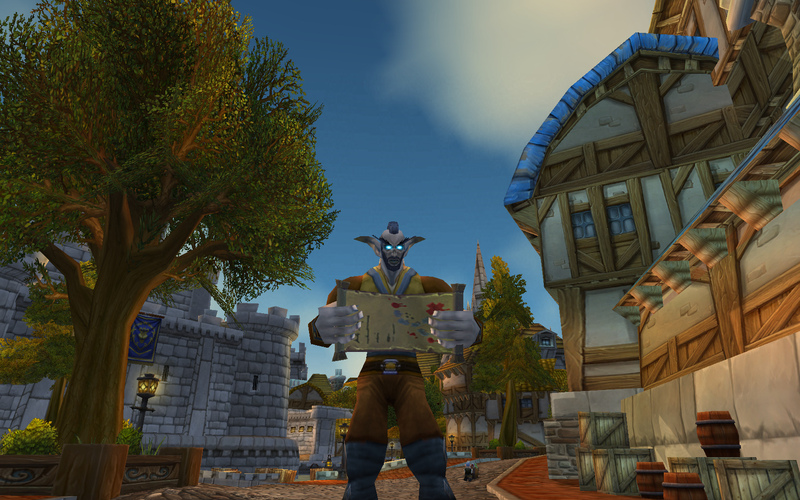 This means I never forget to grab the patterns and I also do 2 things whilst I'm in Outland. So over time see if you can maximise your efficiently, make a simple routine and follow it to allow you a lot more free time to enjoy them game the way you like to. I challenge you to do a week with a routine and a week without and see how much more spare time you have in the week you stick to a routine. Let me know how this works for you, and tell me how you come up with your routine and what jobs you combine together in the comments below. Good tip. Guess it's time to re-arrange my toon list again. Now if we could only get someone to write a GTD addon for Wow, that would make everything really great. After I Google it, I think GTD is "getting things done ", and great pots there, we just need to organize, I will make my routine and then try it, and I will come back here and tell you how it went.